On April 5, 2014 Education Quality Standards were adopted by the Legislative Rules Committee of the Vermont Legislature. You may ask, “What does that have to do with me, or collaboration-the theme of this blog?” The bigger question is, “In my state, are there administrative guidelines for establishing school library programs led by certified school librarians that support state education statues?” The answer to this question varies across the country. You may be surprised when you start to do some digging. What’s happening in your neck of the woods? How can you find out? A year ago, the draft document for Vermont State Board of Education, Education Quality Standards (EQS), omitted any language that pertained to school libraries, or certified professional teacher librarians. That’s when the collaborative team of volunteers from the Vermont School Library Association (VSLA) went into action mode. Last September in this blog, I posted some details about our plan to insert appropriate language into the document. It has taken time to work through the whole process, but we are delighted that our collaborative efforts have made a difference. Now public school districts using the EQS to meet state law requirements have guidelines for school library programs and staffing that are embedded within the big picture of educational programs and services in Vermont. The document itself reinforces a commitment to equitable student centered learning, and is quite progressive. The takeaway from our experience highlights the power of collaboration, and the need for continued advocacy at many different levels. We have to be able to show and tell the value of a school library program for students. Recently on this blog, we have been focusing on ideas for collaboration, not only with our co-teachers, but also with our principals. 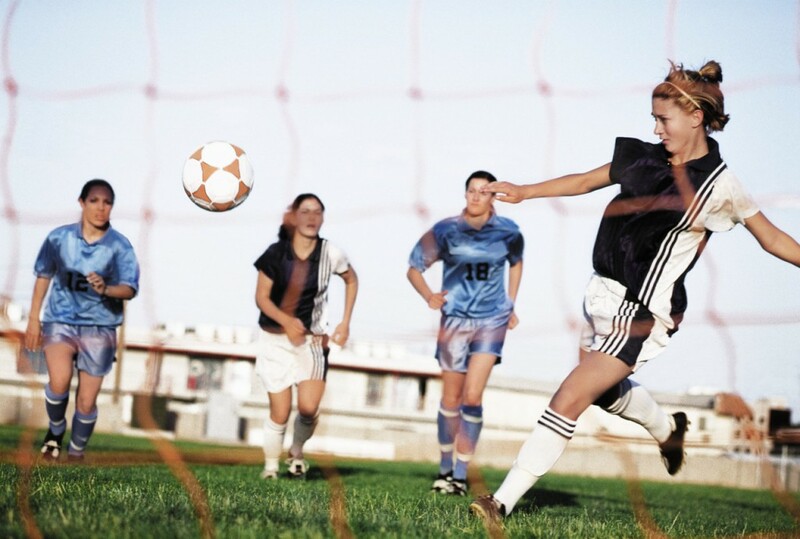 The grassroots approach builds influence, acceptance, and support for our programs and our positions. In Vermont, we have been asking the question, “Does your principal know what you do-really know and understand the complexities of your job?” Heidi Huestis, Professional Concerns Chair of VSLA, and I conducted a short survey of members to get a picture of existing job descriptions and evaluation systems in schools across the state. The results, based on responses from almost 40% of active members have led us to ask more questions. We will use this information and future surveys and other research to plan for advocacy as an organization. Earlier this month, we presented the findings from the survey at the Dynamic Landscapes Conference at Champlain College in Burlington, Vermont. Our presentation was titled-Under the Radar: Teacher Librarian Job Descriptions and Evaluations, and here’s a link to the slides, and the full survey is included on the resources page. We were especially pleased that Joyce Valenza, one of the keynote speakers at the conference, was there to share some ideas, too. In their article, Emily Dolci Grimm, Trent Kaufman, and Dave Doty share their experience of “flipped peer observation.” This strategy is teacher-driven, classroom-embedded, and puts the educator who is being observed in the driver’s seat “as the leader and primary learner in the observation process” (25). After the educator identifies the target curricular standard to be observed, she invites colleagues to a meeting to share her focusing question and provide lesson background. During the observation, the observers collect data related to the targeted standard, and in a post-observation debriefing the educator and observer team discuss the outcomes in terms of the teacher’s focus. In their article, Grimm, Kaufman, and Doty provide guidelines for these three components and share the positive results of this process for one particular teacher. Privileging the teacher’s voice and her own priorities for professional learning are the foundations for the success for this strategy. The multiple perspectives on instruction and students’ practice are strengths of the process they describe. But I wonder how many school districts will support a process in which a team of teachers must leave their own classrooms in order to provide this kind of professional development for their colleagues. This may work in schools with shared planning time during contract hours, but this level of commitment is beyond what I have experienced in the districts where I have worked or observed. State-certified school librarians who serve in schools with flexible schedules and paraprofessional support have the opportunity to coteach with peers whenever the need arises. 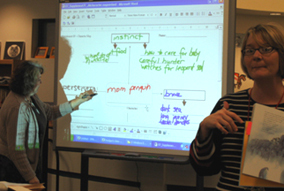 A classroom teacher or specialist and the school librarian can coplan (during the classroom teacher’s planning time) and schedule time for coteaching in the classroom, library, lab, on athletic field, or whatever environment is most conducive to students’ meeting the learning objectives. Along with their colleagues, they can achieve the goal of job-embedded professional development that improves the practices of both classroom teachers and school librarians and the learning outcomes for students. Win-win-win. Last week on this blog, Judy Kaplan pointed readers to a crowdsourced video: Principals Know: School Librarians Are the Heart of the School. Dr. David Loertscher who teaches school librarianship at San Jose State University asked his graduate students to conduct a content analysis of the video in search of keywords and concepts that were most often repeated by the ten school administrators from seven different schools in six different states. Their findings: “professional development” was the activity most often ascribed to effective school librarians and valued by these administrators. To me that is professional learning reimagined. That is truly job-embedded professional development—in which educators work toward shared goals and learning outcomes for students and learn with and from one another in real time with real students, actual curriculum, resources, supports, and constraints of their actual teaching environment. This is an opportunity on which classroom teachers, specialists, librarians, principals, and administrators should capitalize in order to help all educators reach their capacity and all students to reach their potential! Godfrey, Paula. “Principals Know: School Librarians Are the Heart of the School.” April 2014. Web. Youtube.com. 8 May 2014. <http://youtu.be/bihGT7LoBP0>. Grimm, Emily Dolci, Trent Kaufman, and Dave Doty. 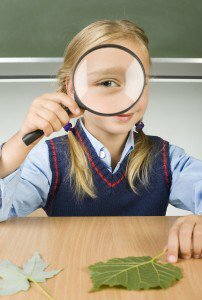 “Rethinking Classroom Observation.” Educational Leadership 71.8 (2014): 24-29. Print. I believe that educators, school librarians in particular, should maintain a membership in the Association for Supervision and Curriculum Development (ASCD), read ASCD publications, and be as involved as possible in this organization. The target audience for ASCD’s journal Educational Leadership is “leaders in elementary, middle, and secondary education but it is also for anyone interested in curriculum, instruction, supervision, and leadership in schools” (quoted from the masthead of the journal). In addition to the fact that school librarians should be leaders in curriculum and instruction in their schools, many principals are ASCD members and read Educational Leadership during the academic year. Since a principal’s understanding of the role of the school librarian in the learning community is essential to our success, school librarians should be able to talk with their principals on topics that ASCD identifies as important for their readership. Last week when this month’s issue arrived in my mailbox, I was thrilled to see the title “Professional Learning: Reimagined.” I saved it to read until I could immerse myself in the content, which I did over this past weekend. Just to mention the foci of a few articles… The opening feature by Dr. Guskey, from the University of Kentucky, focuses on professional learning designed with backward planning from the desired student learning outcomes and evidence-based practice. Check. Articles on video capture of teaching, coaching, teacher-taught tech camps, and the failure of top-down approaches… Check. Dr. Richard DuFour, Professional Learning Communities (PLCs) expert, provides successful PLCs case studies. Check. While I don’t disagree with any of the articles in this issue, this issue fell short for me in terms of “reimagining” professional learning. There were two articles in the issue that had the potential to delve deep into the growing understanding of the value of job-embedded professional development—one by Dr. DuFour and one by Emily Dolci Grimm, Trent Kaufman, and Dave Doty. I want to share some of Dr. DuFour’s ideas and build on those for a discussion of the Grimm, Kaufman, and Doty article on Thursday. I hope you have read this issue and will join in and make this a conversation. • Ongoing, with sustained, rather than episodic and fragmented, focus. • Collective, rather than individualistic. 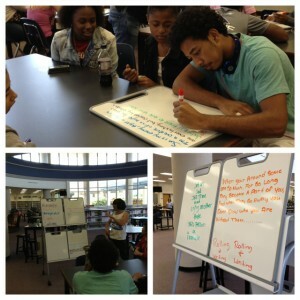 • Job-embedded, with teachers learning as they engage in their daily work. • Results-oriented, with activities directly links to higher levels in student learning. • Most effective in schools and districts that function as professional learning communities (31). This research in consistent with my own experience as an educator and school librarian. The first four keywords italicized by Dr. DuFour are the very reason PLCs can be effective. However, in the four case studies discussed none of them mentions real-time job-embedded professional development where educators learn as they engage in their daily activities teaching students. 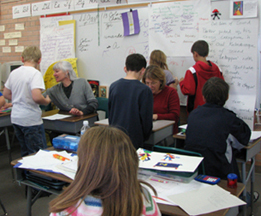 While there is a collective focus on student learning outcomes and face-to-face or virtual observations of successful practices in other classrooms with other teachers’ students in the same school or across the district, none of these educators were learning while coteaching during the school day with a peer (one another educator) in the same classroom with their own students, resources, supports, and constraints. In DuFour’s article, Regina Owens, the first principal, at The Virtual School of Springfield ISD, noted: “In a traditional school, you hoped teachers implement the new strategy, but it was difficult to be certain” (35). But there is a way to be certain in schools with a 21st-century school librarian. When classroom teachers and school librarians coplan for standards-based, data-driven instruction targeted to specific student learning outcomes, administrators can be assured that best practices are being implemented in the classroom and in the library. Two or more educators who coplan, coimplement, and coassess student learning outcomes can develop their instructional proficiency in job-embedded professional development learning with and from each other in real time. What has been your experience of classroom-library collaboration that has led to improved student learning? How is this low-threat, organic strategy conducive to educator learning? On Thursday, I will continue my response to this issue of Educational Leadership. DuFour, Richard. “Harnessing the Power of PLCs.” Educational Leadership 71.8 (2014): 30-35. Print. When administrators appreciate the value of a school library program, led by dynamic and knowledgeable teacher librarians, they understand that collaboration is the root of successful teaching and learning for the school community. They also understand the return on investment in the multiple roles of the school librarian-in literacy, professional development, technology integration, and instruction. Usually that one person collaborates on many levels with everyone, students and educators, at one time or another. Teacher librarians are masters at the spinning plates act-and are passionate about their work. Other administrators are not always sure what teacher librarians do, so how can we begin to shift that paradigm? Support for ongoing school library programs requires conversations about the benefits of a school library program, among all stakeholders. Principals, superintendents, curriculum directors, and other school district leaders who begin these conversations while they are in training, come to administrative positions better prepared to make educational decisions about school library programs. Another potential value of this film is for advocating the value of school libraries with school boards, local district administrators, and other community members. Be sure to bookmark the links from today’s post, so that you can have them at your fingertips for future advocacy. Keep building that advocacy toolbox!